Last Saturday, the ArtStarts Gallery was packed wall-to-wall with visitors. 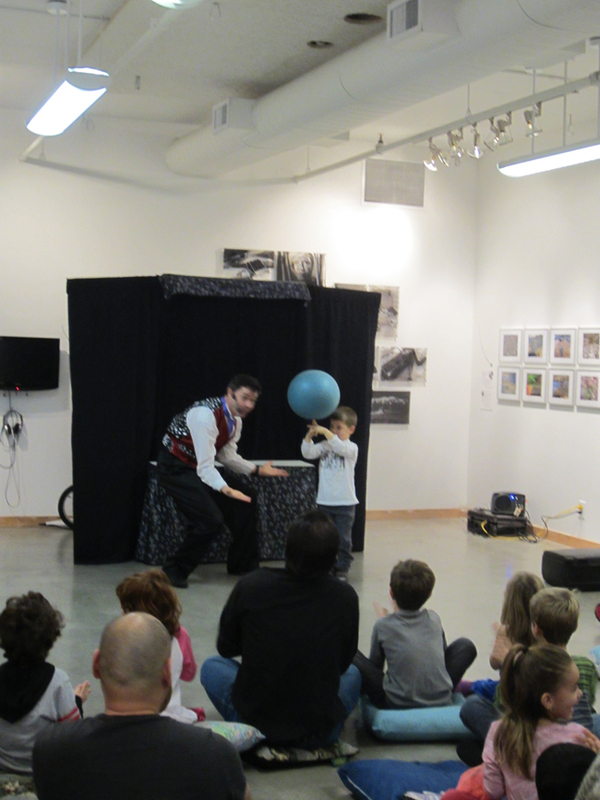 What better to add into the mix than a bunch of spinning balls, whilrling juggling pins, and a unicycle? That's exactly what happened at ArtStarts on Saturdays with Spin Cycle. 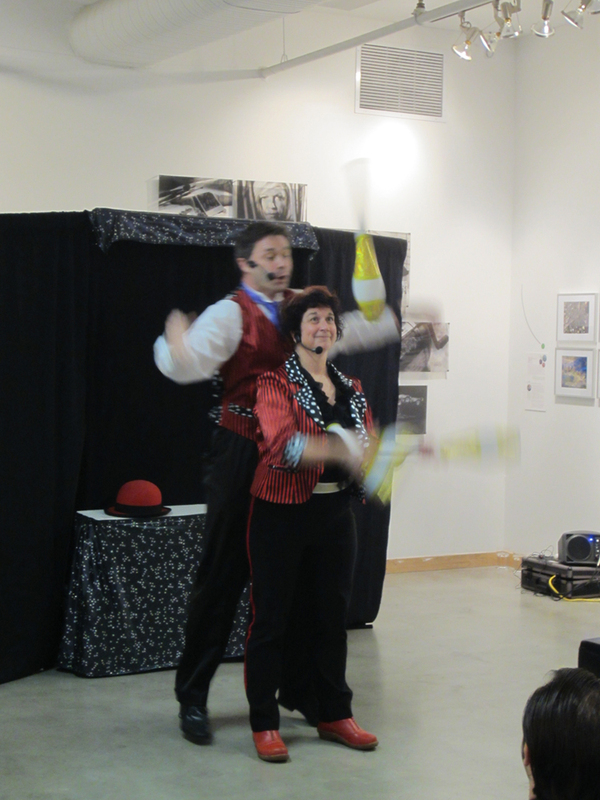 The amazing Greg Tarlin and the incredible Kristi Heath wowed the crowd with their skills and antics. 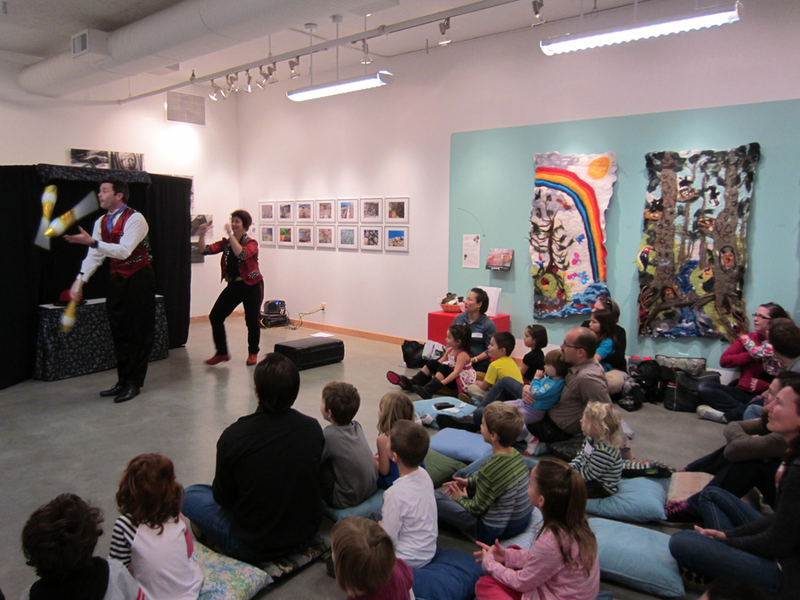 From puppets and impressions, to yo yo tricks and juggling, Spin Cycle captured the crowd from start to finish, making them both gasp and laugh. Members of the audience also got into the act and discovered they had untapped circus skills! The best comment from the day was definitely from an older gentleman in the audience, who said "I am 78, but today I feel like I am 5!" If you missed the show, you can watch a video clip from Spin Cycle's show on their website. 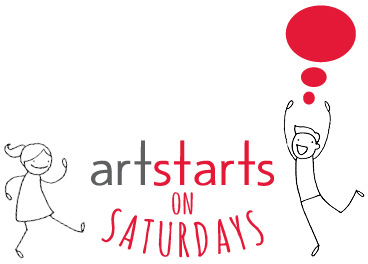 Stay tuned for the next ArtStarts on Saturdays in January 2013. We have a great line up in the works!